One of the most intimate moments you will have in life is saying goodbye to a loved one for the last time. Whether your goodbye is planned, unreciprocated or lacking, there is usually a residual feeling that something is left incomplete and unsaid. There are no perfect endings. Each goodbye is unique and holds many personal lessons. This goodbye is prepared for. Your loved one has a terminal illness or has suffered an accident in which you know in advance that the chances are slim to none for recovery. In this scenario, there is an opportunity for a last conversation. However, knowing and planning does not create ease in the process of letting go. It can be difficult because denial often steps in to protect and shield you from painful feelings and awareness. This creates a block to heartfelt goodbyes and communication. As a society, we avoid and fear death. No wonder why it is so difficult to talk about. In this regard, you or your loved one may not say everything that you would hope to say in that poignant moment. When my husband’s 92 year old grandfather was dying from pneumonia due to dysphagia, we made the decision for a DNR (do not resuscitate) and no feeding tubes. We knew in advance that every time he ate food it would travel into his lungs and there were no procedures to correct this condition. I talked with my husband’s grandfather and said, “I know this is uncomfortable to talk about; we are all going to die someday. Is there anything you would like to say or anyone you would like to talk to before that happens?” He thought about it and replied no. We made sure to tell him we loved him before leaving. He was not the type of man to be demonstrative with his feelings although he did say, “love and care” as we left. Since he was not comfortable talking about death or dying, I made sure I was gentle in my approach to not upset him while making sure he received what he needed in that moment. I learned how to hold the space and connect to another without talking. I felt relieved knowing that he would no longer have to suffer. This goodbye can be known about ahead of time or come up unexpectedly. Your loved one in this instance cannot talk or communicate with you even though the person is physically alive. I faced this type of goodbye with my mother. After suffering a second stroke and heart attack, my mom was unresponsive. Unlike the first stroke in which she was responsive and each day showed some minimal improvement, this time there were no signs of movement except one hand squeeze that she gave to me. When I went to her bedside, I spoke to her as I always did. I knew she would not improve after my first visit with her. She continued on living two and a half weeks beyond that point. I spoke my goodbyes to her multiple times, although I could not hear hers in return. Seeing her in this state felt torturous to me because I had some guilt feelings which were left unprocessed from our last visit. The last time we spoke our visit ended in frustration. The drive back and forth from my home to the nursing home, strained family relationships plus working was burning me out. I didn’t feel well physically that day which added to my vulnerability. My intention was to not burden my mother with my experiences although the irritable energy seeped out despite my best efforts. I thought I was doing okay until I left and heard my mother sigh from the hallway door. I knew in that moment she felt frustrated too. I was pressured to leave as I had a doctor’s appointment and reassured myself that we could talk together when I saw her for our next visit. Neither scenario was the ending I wanted. It was the incompleteness and messiness that bothered me the most. I like to do things well and pride myself on that even if it is the last goodbye. The truth is sometimes endings don’t go well. Luckily, an ending does not define the entire relationship. As a therapist, I would tell my clients to focus on the other visits, the relationship as a whole and to forgive. I know that she didn’t understand the entire situation that I was experiencing in that moment. I forgive myself for not going back, talking it out and most importantly for being human. Prior to my mother’s death and the stroke we talked about death and what we imagined it would be like. She had a dream once in which she went to heaven. She described it as a beautiful, vivid place of brilliant color that is peaceful. She told me after that experience that she was no longer afraid to die. She believed it was a place in which you have a life review, your body is fully restored to health and you reunite with other relatives who have passed over. Thinking of these communications comforts me much more than focusing on the goodbyes. Goodbyes are sad endings. Our connection will never end for she is always in spirit, in my memories and in my heart. Her DNA, like my father’s runs through my blood and physical body. In this situation the person has died suddenly without warning and words get left unsaid on both sides. You easily slip into shock and denial because the pain and realization is too much to feel all at once. It is as if you are a walking zombie getting through the services and days directly ahead of you. I have experienced this twice in my life. My father was forty seven when he died suddenly and I was five years old. I also had a cat die after being ill for one day. I can remember feeling angry about the unfairness of having a goodbye taking away. No matter which goodbye you are left with, healing can take place at any time. 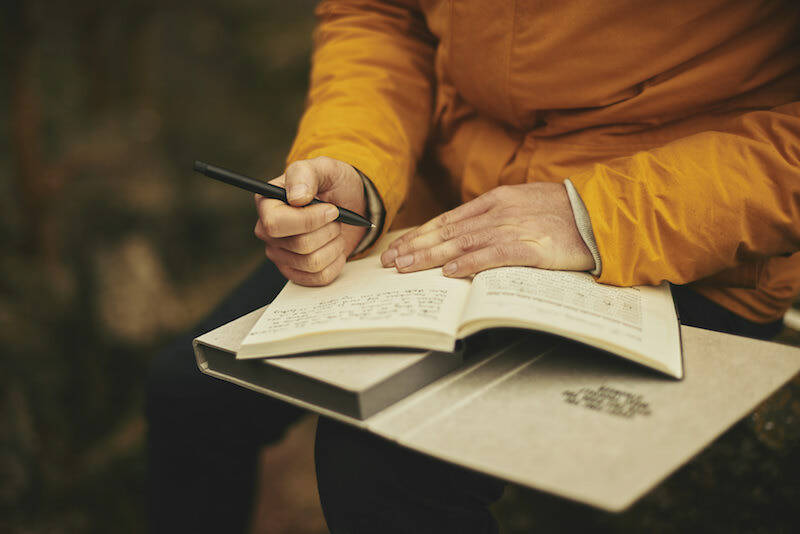 If you need to process and communicate your feelings seek out a professional therapist, grief support group or work through your feelings by writing in a journal. You can pen letters to your loved ones expressing exactly what you want to say, your feelings and your goodbye. 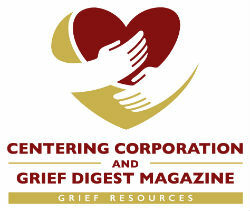 Whether you feel guilty, relieved, sad or angry that you had to let go of a loved one it is all normal and a part of the grieving process.